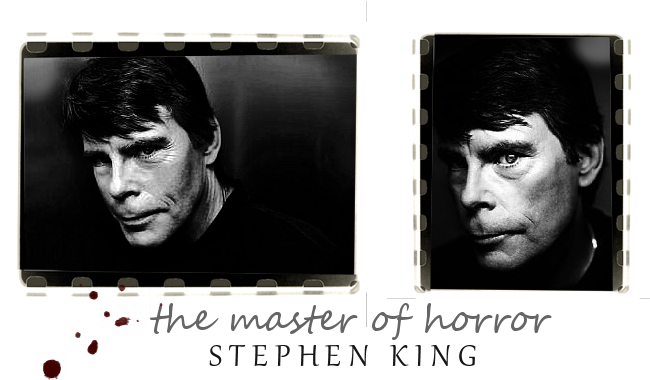 Stephen Edwin King is an American author of contemporary horror, suspense, science fiction and fantasy fiction. His books have sold more than 350 million copies and have been adapted into a number of feature films, television movies and comic books. King's primary inspiration for writing horror fiction was related in detail in his 1981 non-fiction Danse Macabre, in a chapter titled "An Annoying Autobiographical Pause". King makes a comparison of his uncle successfully dowsing for water using the bough of an apple branch with the sudden realization of what he wanted to do for a living. While browsing through an attic with his elder brother, King uncovered a paperback version of an H.P. Lovecraft collection of short stories entitled The Lurker in the Shadows that had belonged to his father. The cover art—an illustration of a yellow-green Demon hiding within the recesses of a Hellish cavern beneath a tombstone—was, he writes, the moment in his life which "that interior dowsing rod responded to.” King told Barnes & Noble Studios during a 2009 interview, "I knew that I'd found home when I read that book."